Numerous reports and studies in recent years have proved that India is the most attractive destination when it comes to outsourcing. Recently, AT Kearney released a report on the attractiveness of different countries for outsourcing and offshoring. 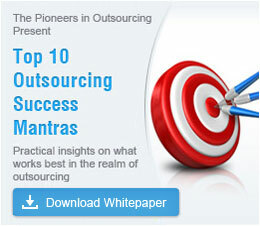 This report placed India at the top for outsourcing, followed by China and Malaysia. India was ranked the most attractive outsourcing destination because of its ample availability of skilled, talented and experienced resources. India’s low labor cost, high–end infrastructure, favorable tax and regulatory environment and financial structure are other factors that have made India an ideal outsourcing location. Varied factors, such as, education of human resources, availability of human resources, wages, cost considerations, taxes, infrastructure costs, intellectual right security and overall political stability were taken into consideration by AT Kearney to find the attractiveness index for each outsourcing country. China, being a leading outsourcing destination has always been a major competitor for India. However, India is ahead of China in several areas. In the following table, AT Kearney compares the two nations for their suitability for outsourcing based on parameters such as government support, education and talent pool. When compared to China, India has a large talent pool that is skilled in English and produces high quality services by using high-end infrastructure. Outsource to India and get access to advantages that only India offers. Get in touch with us to start outsourcing to India. Why is Bangalore, India's Silicon Valley an outsourcing hotspot with proven reputation & cosmopolitan environment?